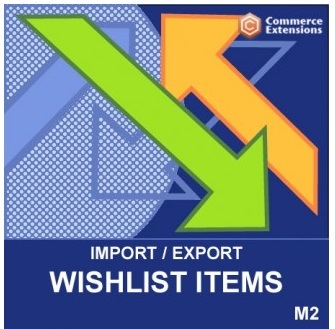 After installing the Import Export Wishlist Items Magento 2 module by Commerce Extensions, you will be able to effortlessly move all wishlist items between ecommerce websites in bulk. Similarly with other Commerce Extensions tools, everything is possible due to the usage of CSV files. To assign items to existing customers, the extension uses their email addresses. 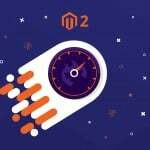 This approach makes it possible to move the global content of all wishlists from Magento 1 or even a third-party ecommerce platform to your new Magento 2 website. In addition, you can use the Commerce Extensions Import Export Wishlist Items Magento 2 module to increase the productivity of your backend routine. Just export a CSV file, open it in OpenOfice.org (other editors break import), apply changes in bulk, save the file and reimport it back into the system. This is especially useful if there are hundreds of customers with wishlists on your ecommerce website. As for ata related to wishlists, it include all values that describe each item. First of all, it is creation time – added_at. This parameter shows when each item was added to the wishlist. Next, there is a customer email – customer_email. It helps to connect items with customers. Product_is or SKU are also included. DEpending on the option you choose during the export, this parameter can be changed. 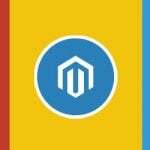 Description is another item value that can be transferred by the Commerce Extensions Import Export Wishlist Items Magento 2 module. There is also a product quantity in the list of supported parameters (qty). The last one is store ID. Please note once again that you should edit CSV files with OpenOffice.org only, since Excel and other editors strip format and breake import. Save them in UTF-8. All columns and values a fully described in the extension guid, so check them on the Commerce Extensions store. Below, you can see the example of a CSV with wishlist items. As for the Import Export Wishlist Items Magento 2 extension backend, it is simple and intuitive: the Import section allows you to choose and upload a CSV file; while in the export section, you can export wishlists by customer ID and choose to use either product IS or SKUs. The Import Export Wishlist Items extension provides a great opportunity to move wishlist items to your new Magento 2 store as well as edit them in bulk. Both approaches help to save tons of time and effort as well as make some almost impossible procedures performable within a few clicks. As for the price of the module, it costs just $50. For further information, follow the link below.